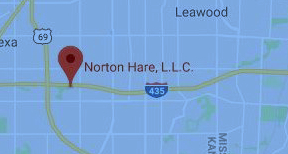 Norton Hare, LLC handles Kansas DUI cases, Missouri DUI cases, Kansas criminal and Missouri criminal cases, as well as Kansas traffic tickets and Missouri traffic tickets. We also handle divorce cases in Kansas and personal injury cases in Kansas and Missouri. If you have a DUI, traffic or other criminal case pending in a state other than Kansas or Missouri, please go directly to the links below. It is our hope that they will assist you in getting more information about attorneys that practice in that area. The National College for DUI Defense, Inc. (NCDD) is a professional, non-profit corporation dedicated to the improvement of the criminal defense bar, and to the dissemination of information to the public about DUI Defense Law as a specialty area of law practice. College members represent the most experienced DUI defense attorneys in the country. The National Association of Criminal Defense Lawyers (NACDL) is the preeminent organization in the United States advancing the mission of the nation’s criminal defense lawyers to ensure justice and due process for persons accused of crime or other misconduct. The following attorneys are known to our law firm to handle DUI, DWI, OUI, traffic, and other criminal matters in states other than Kansas and Missouri. We make no recommendation nor warranty concerning their services. This information is provided only as a resource for visitors to our site. Please be sure to interview and investigate any lawyer you are considering hiring.